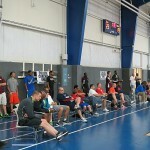 The Chicago Summer Jam was held on July 19th-21st and was formally known as the D1 Elite Event. 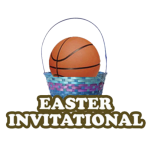 This is the annual event that has given many scholarship opportunities to student athletes in the midwest and nationwide. It was 73 degrees outside but inside the gym of the Highland Lincoln Center it was scorching hot. We had college coaches in attendance including: Duke, North Carolina, Kansas University, Cal Poly, LSU, Ohio State, UMass, DePaul, Oregon State, South Dakota, Eastern Kentucky, Valpo, Butler, Creighton and UIC. These are just a few on the long list of major colleges and universities! Also teams from California, Illinois, Wisconsin, Ohio, Indiana, and Missouri came to leave their mark. Tom Izzo from Michigan State. John Beilein from University of Michigan. Tracey Didly, Chicago State University. Ballislife just to name a few. The Chicago Summer Jam NCAA Certified Event event recap day 1: it was a huge success scorching with talent and college exposure.